The first time I visited my then-fiancé in San Benito County I sped right by the road that led to his family’s ranch and ended up in Hollister, Calif. I called him from a Round Table pay phone (yes, we still used those back then) at a strip mall, trying to hide the panic in my voice that this was my new home. Fast forward 21 years and I can say that I have adjusted to life outside of The City and learned to appreciate living in a rural place. We are surrounded by breathtaking views, interesting people, a rich ranching heritage, and amazing, locally grown foods and wine. 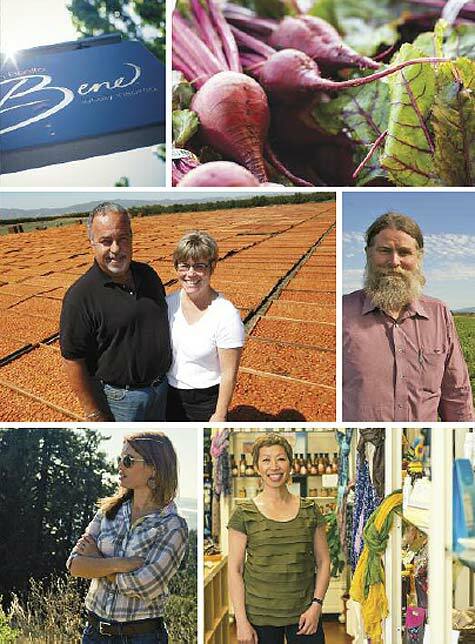 This month’s feature Reimagining San Benito County, by Deborah Luhrman in edible Monterey Bay features the foodie businesses that make up this amazing place, including our own Morris Grassfed Beef. Thanks to Luhrman and edible Editor Sarah Wood for their keen sense of style and appreciation of places off the beaten path. Hope you’ll click on the link and read the whole article … and then come and enjoy the fruits of San Benito County!